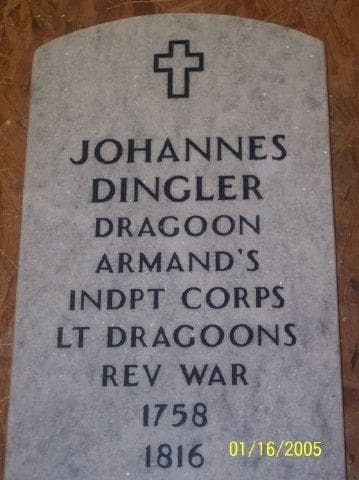 Judy Dingler passed along a photo of the grave marker for Johannes Dingler. This is the marker that will be placed in the Swords Cemetery in Madison County, GA. Previous Previous post: A Successful Reunion! Next Next post: Hold the Date for the 2005 Reunion!